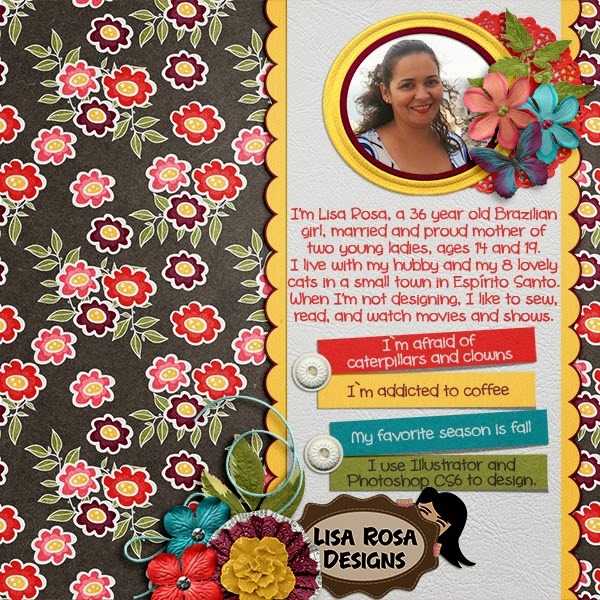 MyMemories Blog: Meet Today's Daily Designer....Lisa Rosa Designs! Meet Today's Daily Designer....Lisa Rosa Designs! My name is Lisa Rosa, I'm a 36 year old Brazilian girl, married and proud mother of two young ladies, ages 14 and 19. I live with my hubby and my 8 lovely cats in a small town in Espírito Santo. When I’m not designing, I like to sew, read, and watch movies and shows... and spend time with my family and friends! I know it’s cliché, but I just love spending time with all of them: my daughters, my hubby, my mom and stepfather, my brother and sister, my aunt and cousins, all of my friends. My oldest daughter is now living in Netherlands, with my sister and brother in law, and I greatly enjoy catching up with her on Skype! I also love just sitting outside with my cats, playing and snuggling. I started on digital scrapping about nine years ago. I went to visit a girl friend who was sick at home. She was on her computer creating a very cute tag. I was fascinated by this and she introduced me to a group of tag classes. It was my first step into this amazing digi world! I learned a lot in these tag class groups and soon after started digital scrapbooking. But I started designing only two years ago... or almost. I always thought of designing my own kits, but could never find the time to learn about it. Then, on November 2012, my husband and I found out he had cancer (he had a surgery in December 2012 and is fine now!) I left my job to take care of him, and started working at home as an independent programmer. Between one code and another, when I felt I was going crazy and my brain was about to fail, I found time to study about the process of creating a scrapbook kit. Once I created my first one, I couldn’t stop…I had found my passion. I love putting together a kit, element after element, paper after paper, and seeing what I had in mind becoming real. When I see this kit I have made being used by people to document their lives and preserve their most precious memories… I don’t have the words to describe how that makes me feel. My inspiration comes from the most random things: events in my own or my families and friends lives, music or a movie, a magazine ad, an overheard conversation, the color of a shirt, a dream, or things I hope to do. Anything that catches my attention or warms my heart can become my inspiration. When designing, I use Illustrator and Photoshop CS6. But besides digital scrapbooking design, I also work with web design, mainly with dynamic pages programming, therefore Dreamweaver is another tool I can't live without. Visit Lisa Rosa Designs in the My Memories Forum! Visit Lisa Rosa Designs on these Social Media Sites! 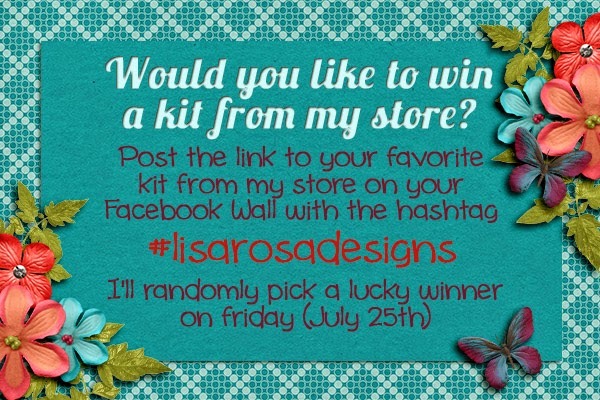 Win a free kit from Lisa Rosa Deisgns! 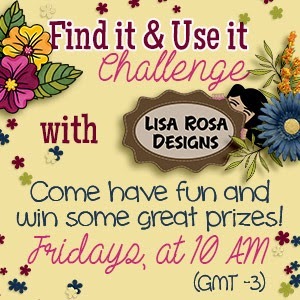 Head over to the Lisa Rosa Design Shop at My Memories, pick your favorite product then post on Lisa Rosa's Facebook page with the name and #LisaRosaDeisgns to enter!